With the recent release of The Lancet Commission on global mental health and sustainable development, it is an opportune moment to reflect on the future of global mental health. This post begins by describing the Commission’s agenda and proceeds to offer reflections on communication and partnership in this field. The Commission’s authors adopt a broad and dimensional approach to mental health. They offer this as an alternative to, or perhaps a refinement of, the 2007 Lancet series on global mental health, which focused on treatment gaps for mental disorders in low- and middle-income countries. Rather than simply focusing on gaps in care provision, the authors consider the impact of environment, circumstance, and broader societal forces on mental health. Mental health care, they argue, must ‘continue from diagnosis to death, be holistic and person-centred, and be well integrated from primary to specialist care (and also between health and social care sectors)’. The Commission situates mental health within the Sustainable Development Goals and argues that it is vital to several SDGs. Thus, in the case of SDG 1 (ending poverty in all its forms everywhere), the authors contend that providing financial protection to people and families with mental disorders is consistent both with achieving SDG 1 and improving mental health. As they observe, ‘the target of reducing the burden of mental disorders is supported by progress made on other goals and targets and vice versa’. Expressed in the language of genetics, they argue that attention must be paid to ‘socioeconomic phenotypes’, in addition to clinical phenotypes. The shift in agenda proposed by the Commission is not merely technical. Indeed, it speaks to how mental health itself is framed and understood. Mental health, they argue, ‘should be viewed as a universal human attribute and an indivisible component of overall health’. They call this an ‘important conceptual shift’, pointing out that ‘mental health has always been isolated from mainstream efforts in health’. Invoking Amartya Sen’s understanding of development, they contend that ‘social or economic adversity undermines the fundamental mental health capabilities that make real freedom possible’. They go on to advocate for an ‘expanded agenda for mental health’ that includes health promotion and prevention, in addition to treatment. They further argue in favour of prioritising child and youth mental health, noting for instance that most mental illnesses have their onset in childhood and that childhood mistreatment is a strong risk factor for health problems later in life. For the Commission, agenda setting is closely related to measurement. They propose a wide range of indicators for monitoring progress on mental health that cover both the health care system and the ‘the influence of external factors, such as poverty, inequality and access to education’. Further, while they make general recommendations on the merits of a ‘stepped-care approach’ in the delivery of care, they underscore the need to tailor interventions to the human and financial resources of the setting in question. While the authors emphasise the importance of being sensitive to context, they do not specifically address the role of communication in achieving priority and meaningful action. In short, a variety of terms are used to describe the ‘what’ of global mental health. The target conditions and problems are described in varying ways between agencies, often using acronyms that would be unfamiliar to mental health specialists. For instance, comparing the Commission’s report and the oft-cited ‘Grand challenges in mental health’ paper published in Nature in 2011, mental disorders are interchangeably called ‘psychosocial disabilities’ and ‘mental, neurological and substance-use (MNS) disorders’. The Commission does not discuss the potential implications stemming from a lack of shared language amongst actors in this field. The authors conclude by recommending the creation of a multisectoral partnership to steer the agenda described above. But the precise structure, membership, or funding source(s) of this proposed partnership are unclear. Regarding the involvement of the private sector in particular, the Commission highlights concerns about the ‘influence of commercial interests on many social determinants’ through ‘worsening inequality or conflict’, while also commenting on the need for ‘engagement’ with the ‘technology and pharmaceutical industries’. What, then, does engagement mean in this context? Do models of engagement already exist upon which this partnership could be based? A further question that was left unaddressed is the extent to which, if at all, the decade-old Movement for Global Mental Health approximates the Commission’s vision for partnership. The Commission points to this movement as an instance of ‘civil society’ partnering with ‘mental health professionals’ and notes that it comprises 220 member institutions as of March 2018. However, it is unclear how this movement falls short in meeting the vision set forth by the Commission, or indeed, how it might be modified to align with this vision. The potential for partnership with psychiatrists is also worthy of further consideration. 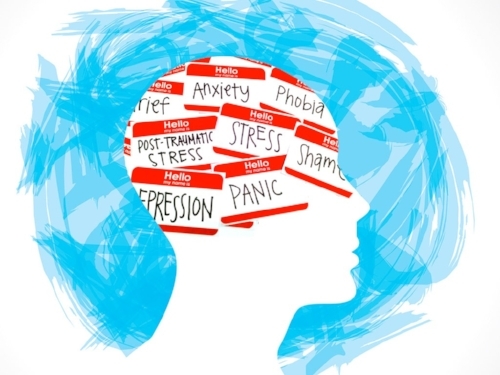 The Commission stresses the importance of ‘task-sharing’ in mental health, understood as involving non-specialist providers and health and community workers more generally in the delivery of mental health services. They contend that implementing such a model would require ‘an expansion in the roles of mental health specialists to include training, supervision and coordination’. As a Canadian resident doctor training in psychiatry, it is interesting to note the overlap between these roles and the Royal College of Physicians and Surgeons of Canada CanMEDs framework. This framework describes the abilities that physicians are required to exhibit and explicitly includes a Leader role, which covers such tasks as administration, management of personnel and quality improvement. While the authors do not discuss specific opportunities for partnership with psychiatrists or other doctors, the CanMEDs framework in particular seems ripe for exploration as a model for bringing medical trainees into an expanded global mental health agenda. Patel, Vikram, et al. "The Lancet Commission on global mental health and sustainable development." The Lancet 392.10157 (2018): 1591. Collins, Pamela Y., et al. "Grand challenges in global mental health." Nature 475.7354 (2011): 27. CanMEDs Framework. Royal College of Physicians and Surgeons of Canada (2018). http://www.royalcollege.ca/rcsite/canmeds/framework/canmeds-role-leader-e.